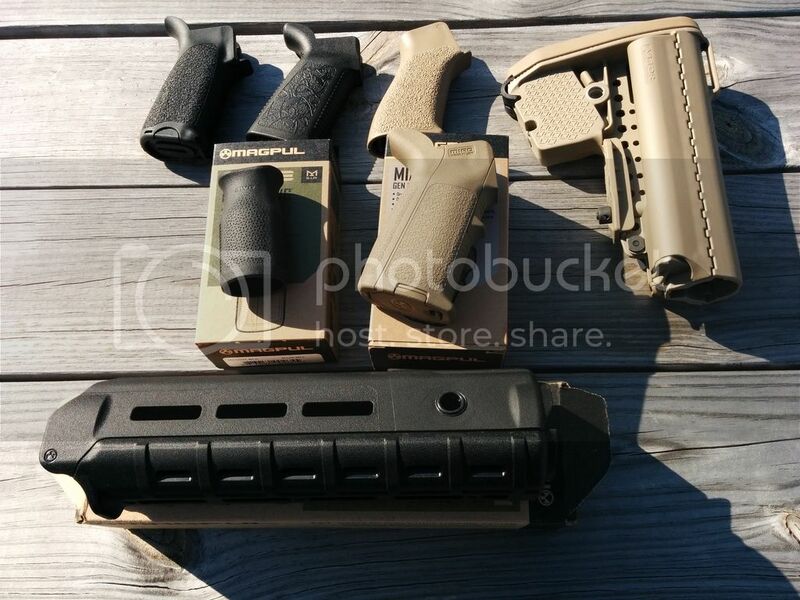 [ARCHIVED THREAD] - Grips, buttstock and handguard. Everything must go prices! I have a bunch of stuff to sell off here, and everything must go!!! Because of this, I have dropped the prices on everything so they move fast! Just trimming the fat of what I don't use on my rifle. Everything has been installed, but never used while firing the rifle and still in lile new condition. If you don't see a box in the picture, the item doesn't come with it. All prices are in USD. If you want the item shipped, an addition of $6.00 will be added to the total. Meetup is free as long as it's a reasonable distance for me to drive. 4) Spyderco Pistol Grip in Black. New, never used. Comes with mounting hardware. - FREE with pirchase of MOE handguard!